Virginia Commonwealth University received a A.
U.S. News & World Report's ranking of 84 out of 117 of National Universities Top Public Rankings was a major contributor to this grade. Virginia Commonwealth University is a public, research university located in Richmond. The students here are very professionally oriented, and many take advantage of the numerous internships and cooperative programs available. VCU's interior design program is regarded as one of the best in the country. Describe the type of student who should not attend Virginia Commonwealth University and explain why. Someone who does not take their academic career seriously, someone who is afraid to have school spirit and explore all the opportunities this school has to offer. Describe the type of student who should attend Virginia Commonwealth University. Why? Someone who wants to get the most out of their education and have a lot of fun doing it. One who i s not afraid of being challenged or working hard to achieve their goals. What is a typical Virginia Commonwealth University student like? Describe the type of person that should attend Virginia Commonwealth University. If you are an open-minded, progressive person that enjoys being surrounded with very different kinds of people with different backgrounds and worldviews, VCU is the school for you. What are the top 3 reasons someone should attend Virginia Commonwealth University? What was a typical Virginia Commonwealth University student like in high school? Describe the type of person that should attend Virginia Commonwealth University. VCU excels in communications and the arts. The university takes its founding date of 1838 from the year the Medical College of Virginia was created as the medical department of Hampden-Sydney College. MCV became independent in 1854 and state-affiliated in 1860. Virginia Commonwealth University's Monroe Park Campus began in 1917 as the Richmond School of Social Work and Public Health. In 1925, it became the Richmond division of the College of William and Mary; and in 1939, its name was changed to Richmond Professional Institute. It separated from William and Mary in 1962 to become an independent state institution. What are the top 3 things that students do for fun at Virginia Commonwealth University? The top 3 things that students do for fun at Virginia Commonwealth University are go to school basketball games, go see local bands play, and explore Richmond. 7% of male students live in fraternities. 6% of female students live in sororities. The average student pays $16,764 for tuition, fees, and other expenses, after grants and scholarships. Total stated tuition is $9,877, in-state and on-campus, before financial aid. Learn more about financial aid at http://www.enrollment.vcu.edu/finaid/. Estimate the net price for you at http://npc.collegeboard.org/student/app/vcu. The typical (median) early career salary of Virginia Commonwealth University graduates is $41,500, according to Payscale. Virginia Commonwealth University participates in the NCAA Division I-AAA for college athletics. 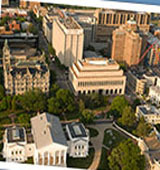 Want more info about Virginia Commonwealth University? Get free advice from education experts and Noodle community members.